Formed by marble limestone, this gorgeous cave located in the lower plateau of a mountainous massif is considered one of the most beautiful caves on the planet. Like walking through a fairy tale, tours through the cave will show you different colors, shapes and awe-inspiring views. Our imaginations take us to grand and colorful places that we cannot conceive as a reality. But what if those colors actually existed right here on Earth? 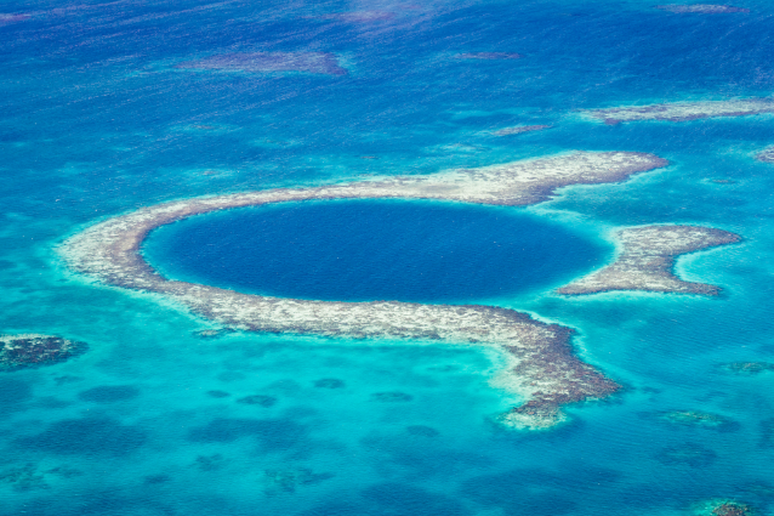 There are places right here on our planet that are absolutely extraordinary. 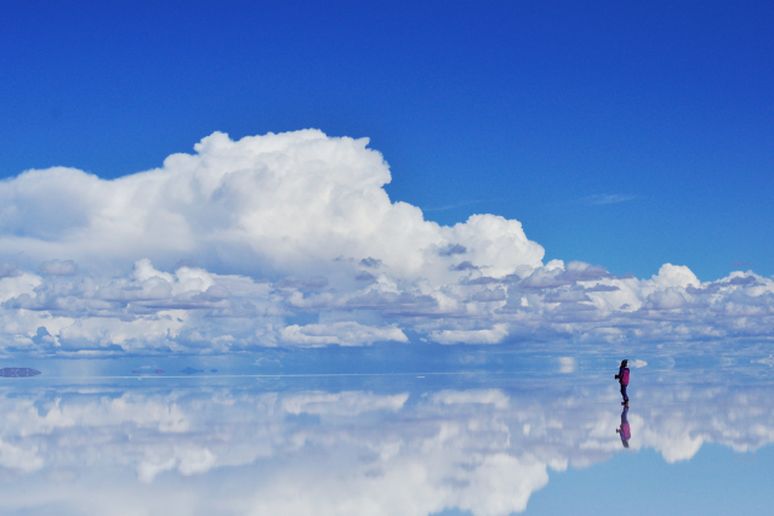 They defy norms and go far beyond the beauty that a typical landscape can achieve. We see gorgeous landscapes and picturesque views in even the most mundane of places. But to visualize the settings of some of our most vibrant dreams as a reality is seemingly impossible. 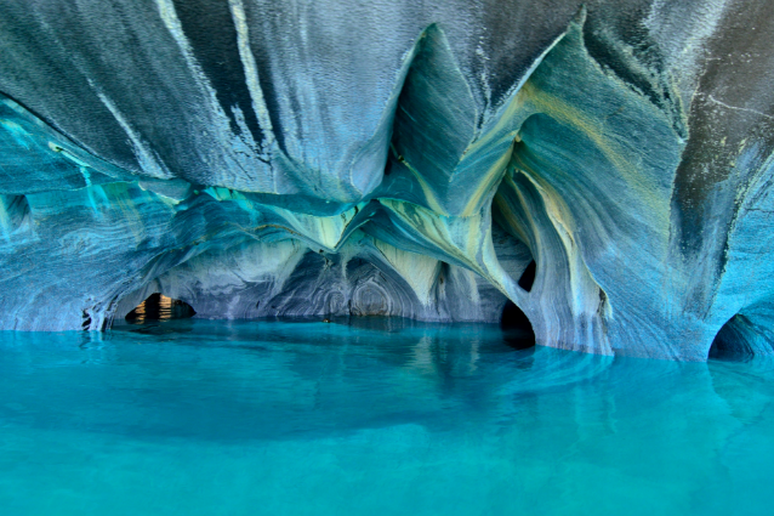 Jaw-dropping, other-worldly places actually exist in our world. 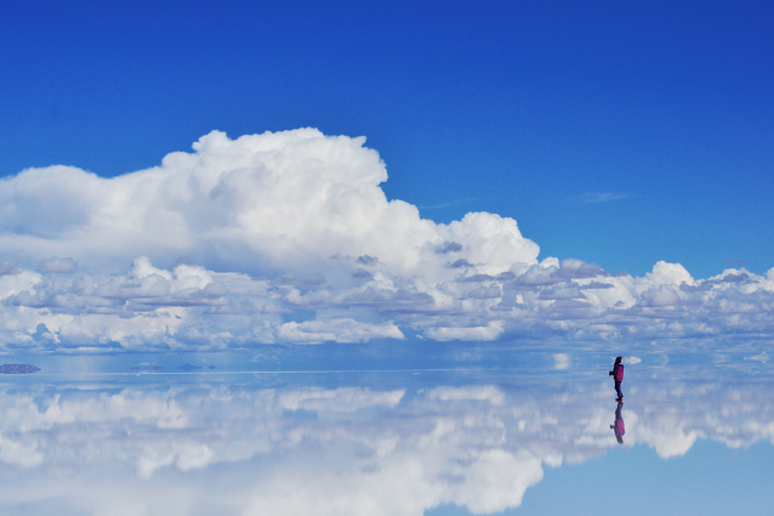 Formed by natural occurrences, these 12 surreal places explore the artistic and dreamlike qualities that Mother Nature offers as reality. 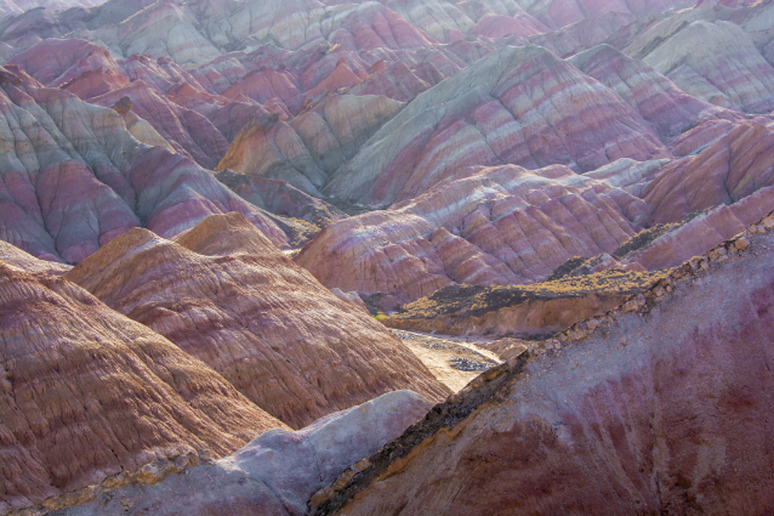 The smooth, sharp, and colorful rock formations that span several hundred meters through this area of China is a sight straight from a dream. These 24 million year old deposits of sandstone and other minerals are similar to a layer cake. Over time the elements sculpted the rock into various shapes, colors and patterns. 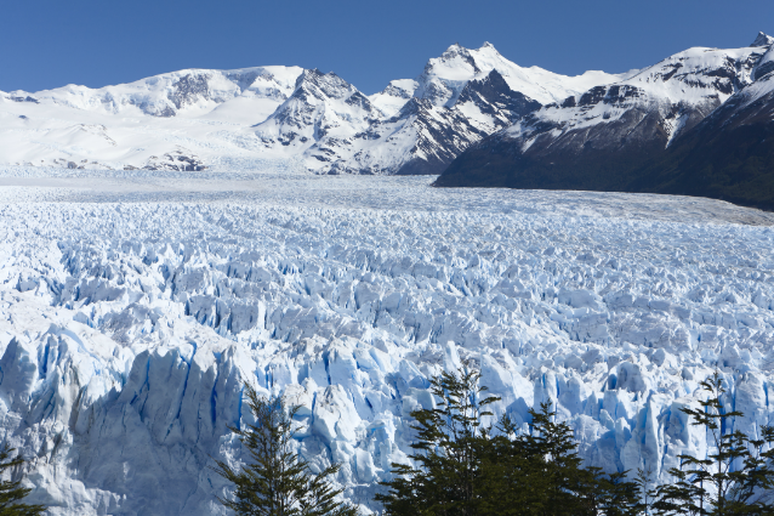 As the third largest reserve of fresh water in the world, the Southern Patagonian Ice field has become an important source. In the ice field lies the Perito Moreno Glacier known for its blunt drop and interesting shape. Wintertime at Lake Abraham is a surreal sight. Frozen bubbles fill the water creating a beautiful icy landscape. But, don’t get too close. 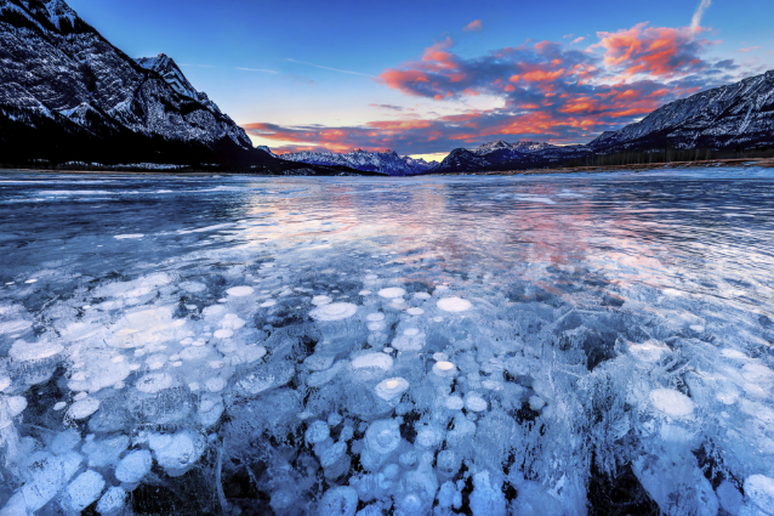 The frozen bubbles are actually made of frozen pockets of methane, a highly flammable gas. 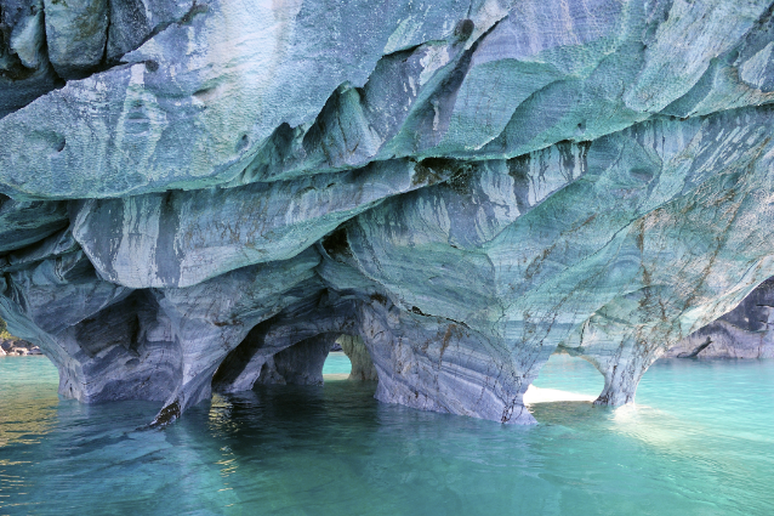 This cave set in glacier ice has incredible formations due to wind-blown sediments. 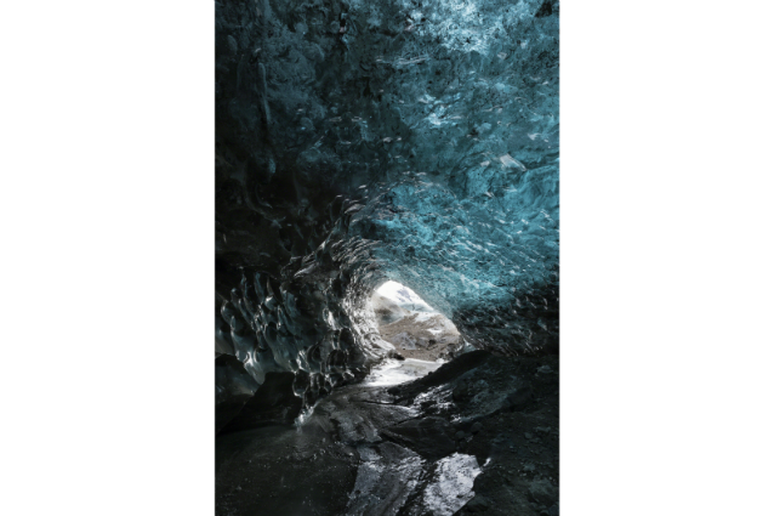 The lack of air bubbles means it can absorb almost all visible light, creating blue ice. 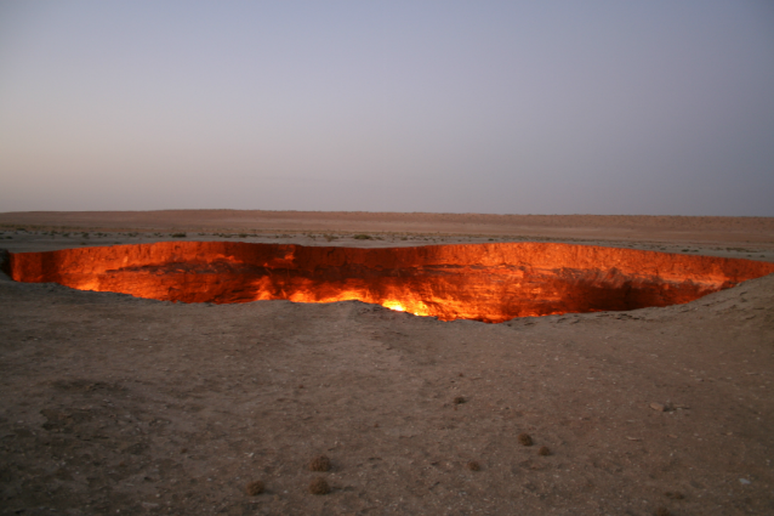 In 1971, in search of an oil field, a drilling operation accidentally created a huge crater releasing poisonous gas. The engineers decided to burn off the gas, but it never stopped, and the fire has been lit ever since creating this creepy, Buffy-esque Mouth of Hell. The Cave of the Crystals, also known as Giant Crystal Cave is home to some of the largest natural crystals ever discovered. 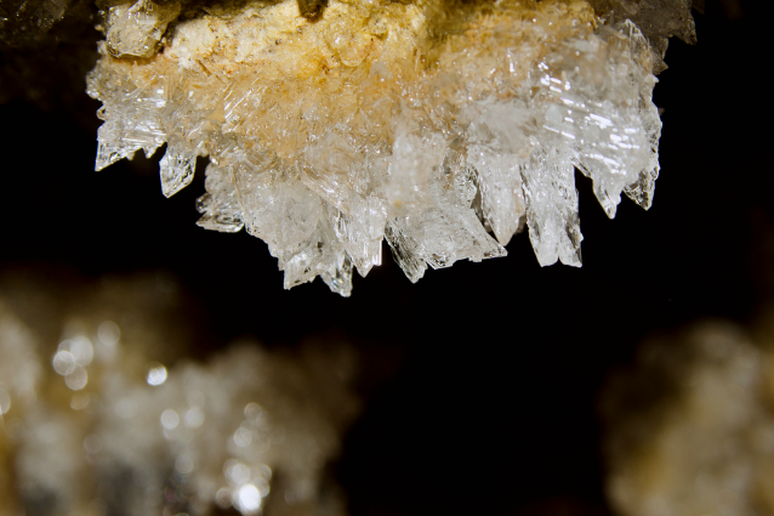 Due to the high temperatures of the cave, it is relatively unexplored. But, the largest crystal found was 39 feet tall and 55 tons. 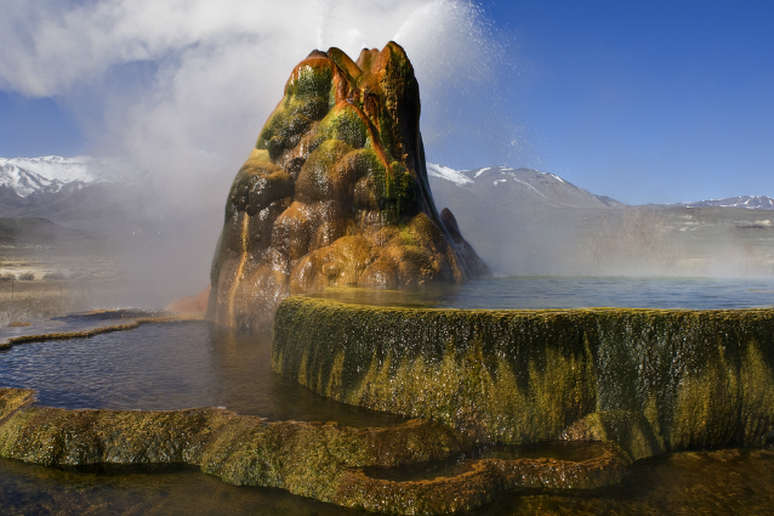 Though the Fly Geyser is not exactly a natural phenomenon, it is still an epic sight to be seen. In 1964 it was accidentally created by well drilling and now water is constantly released to up to 5 feet in the air. The surreal qualities of this cave have a lot to do with the artificial lighting, but the natural limestone is over 180 million years old and is filled with many strange and surreal shapes. The colors simply add to the fun. 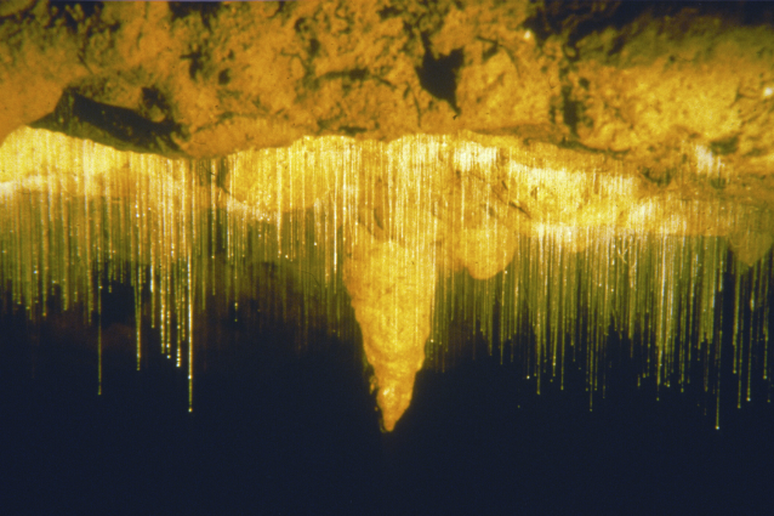 It is difficult to capture the magnificent beauty that occurs in the Glowworm caves. Glowworms are a species around the same size of a mosquito found exclusively in New Zealand. 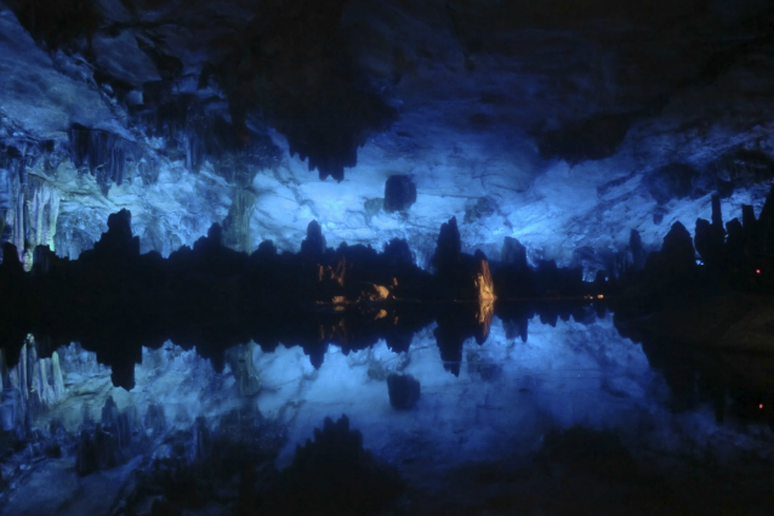 As you paddle through the caves, the glowworms light the ceiling above you, twinkling like the night sky.